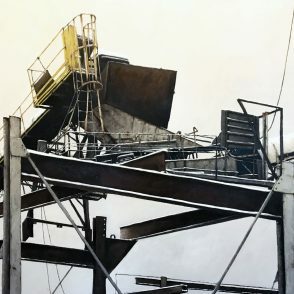 image: 8 x 7.5" | frame: 9.5 x 9"
Rod Massey "Processing Mill #3"
image: 20 x 30" | frame: 21.5 x 31.5"
image: 38 x 34" | frame: 39.5 x 35.5"
Rod Massey "Thirteen North Bound"
Rod Massey "Blue Roll Off"
image: 29 x 31" | frame: 30.5 x 32.5"
Rod Massey "Fruen Wall Five"
image: 18 x 10" | frame: 19.5 x 11.5"
Rod Massey "Family of Four"
image: 8 x 9" | frame: 8.5 x 10.5"
image: 12 x 11" | frame: 13.5 x 12.5"
Rod Massey "Truck with Two Birds"
Rod Massey "Truck & Dumpster"
image: 8 x 22" | frame: 9.5 x 23.5"
Rod Massey "Three Trucks in Snow"
image: 8 x 12" | frame: 9.5 x 13.5"
Rod Massey "Still Life with Three Gourds"
image: 7 x 21" | frame: 8.5 x 22.5"
Rod Massey "Still Life with Six Small Gourds"
image: 7 x 22" | frame: 8.5 x 23.5"
Rod Massey "Steel Yard Totem"
image: 32 x 16" | frame: 33.5 x 17.5"
Rod Massey "Steel Yard Study"
image: 20 x 9" | frame: 21.5 x 10.5"
Rod Massey "Steel Yard Fabrication"
image: 22 x 42" | frame: 23.5 x 43.5"
Rod Massey "St. Paul Asphalt Truck"
Rod Massey "Side Dumpster 16"
image: 6 x 10" | frame: 7.5 x 11.5"
Rod Massey "Rear of St. Paul Hardware Store, Winter"
image: 8 x 11" | frame: 9.5 x 12.5"
image: 12 x 25" | frame: 13.5 x 26.5"
Rod Massey "Railroad Bridge Sections"
Rod Massey "Railroad Bridge Sections in Snow"
image: 21 x 49" | frame: 22.5 x 50.5"
Rod Massey "Railroad Bridge #III"
image: 8 x 16" | frame: 9.5 x 17.5"
Rod Massey "Number Six, Florence"
image: 17 x 7" | frame: 18.5 x 8.5"
Rod Massey "MN DOT Truck"
image: 12 x 13" | frame: 13.5 x 14.5"
image: 11 x 6" | frame: 12.5 x 7.5"
Rod Massey "Mill Door Number Nine"
image: 11 x 14" | frame: 12.5 x 15.5"
image: 21 x 8" | frame: 22.5 x 9.5"
Rod Massey "Hastings Mill Detail"
image: 18 x 13" | frame: 19.5 x 14.5"
image: 8 x 9" | frame: 9.5 x 10.5"
Rod Massey "Fruen Wall Seven"
image: 18 x 30" | frame: 19.5 x 31.5"
image: 11 x 10" | frame: 12.5 x 11.5"
Rod Massey "Corrugated Wall Study, 2"
image: 12 x 12" | frame: 13.5 x 13.5"
Rod Massey "Corrugated Wall Study, 1"
image: 37 x 40" | frame: 38.5 x 41.5"
Rod Massey "Bungalow on 29th Ave. in Snow"
image: 7 x 11" | frame: 8.5 x 12.5"
image: 30 x 30" | frame: 31.5 x 31.5"
Opening Reception: Saturday, October 21, 2-5 p.m.
Rod Massey is a part of a group of contemporary Midwestern artists dedicated to continuing and re-examining the tradition of American Realist scene painting. 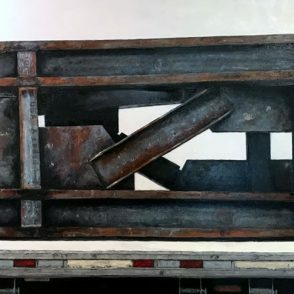 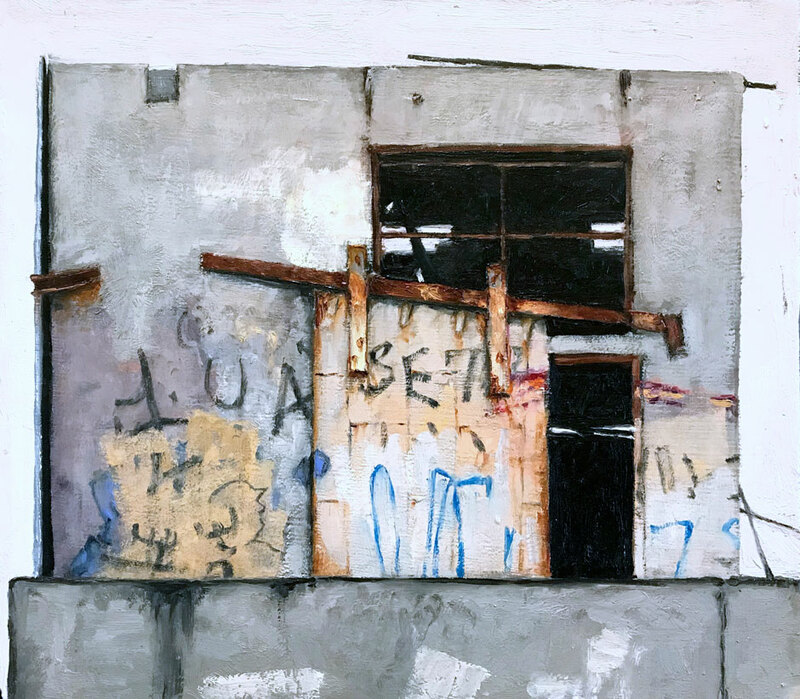 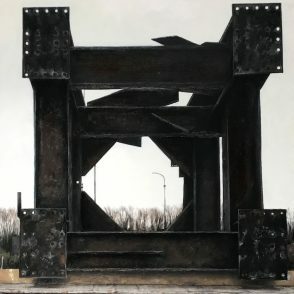 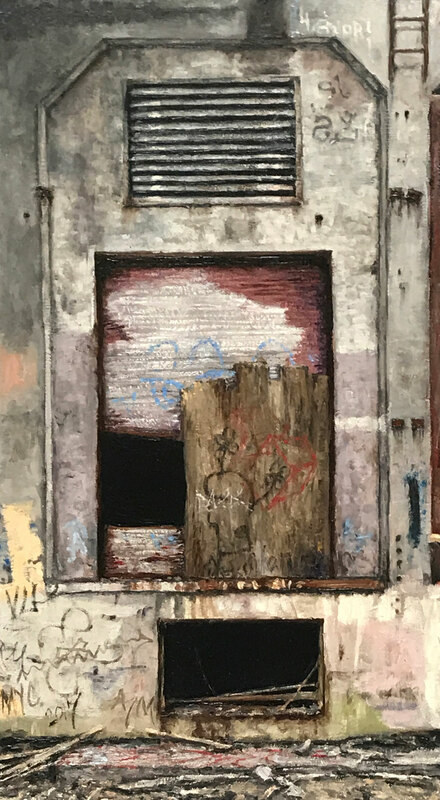 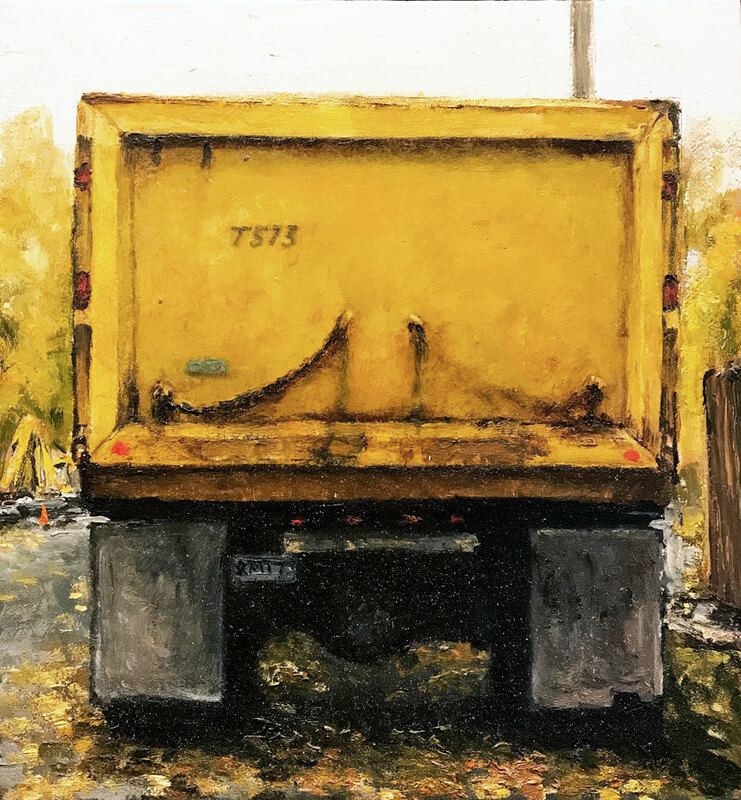 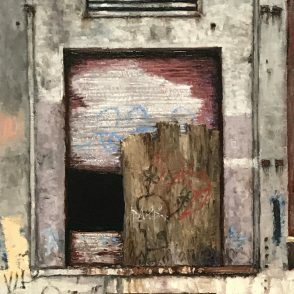 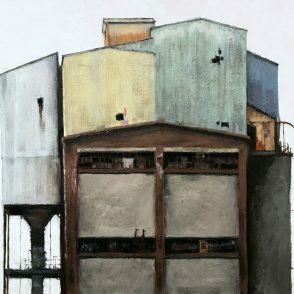 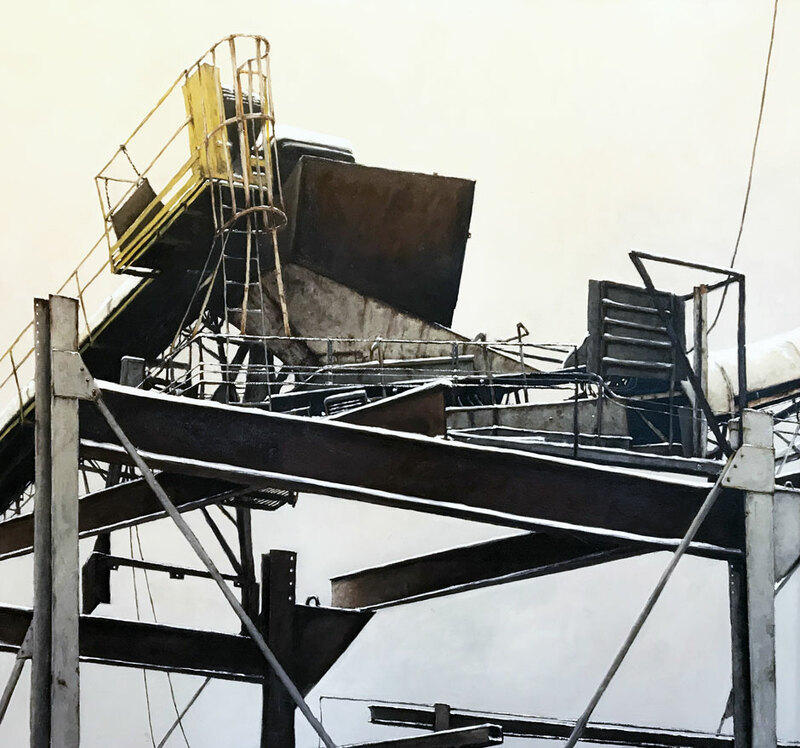 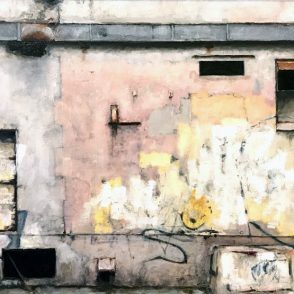 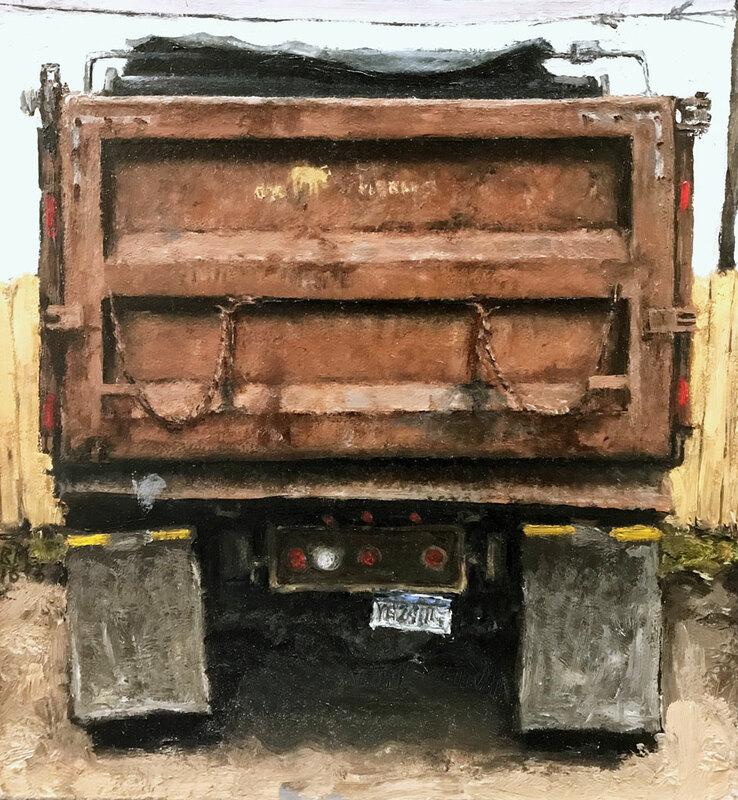 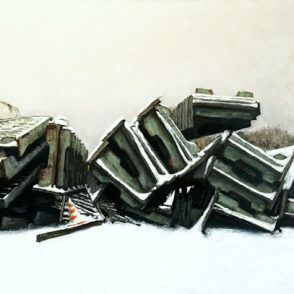 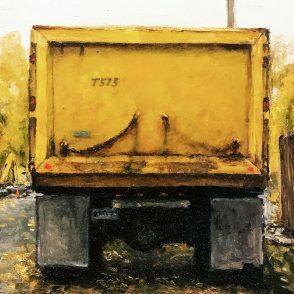 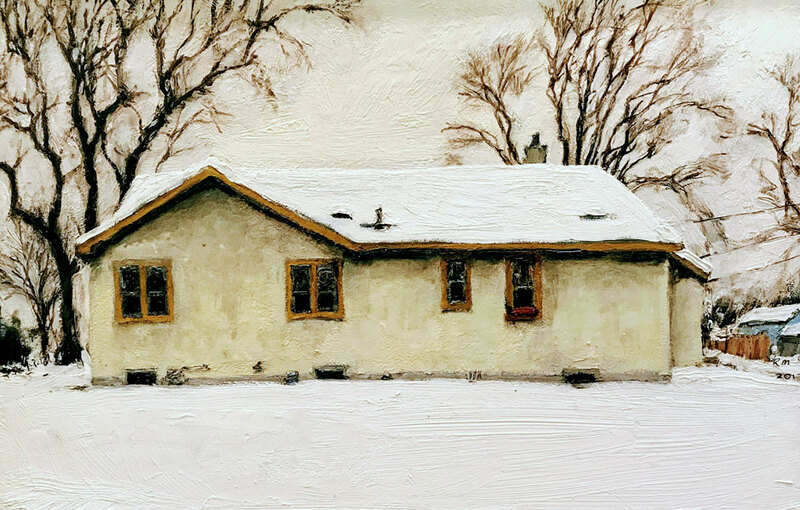 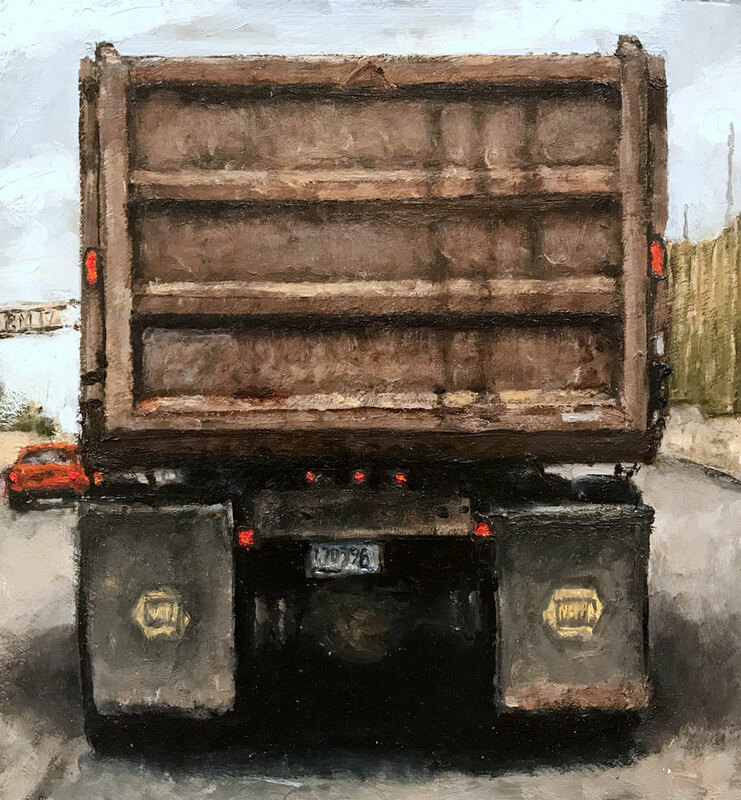 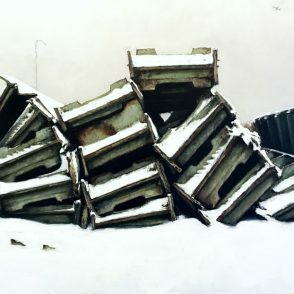 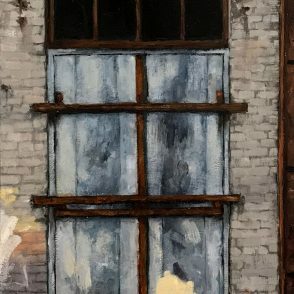 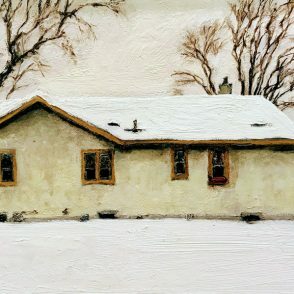 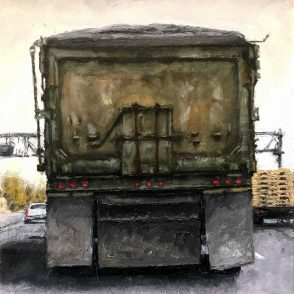 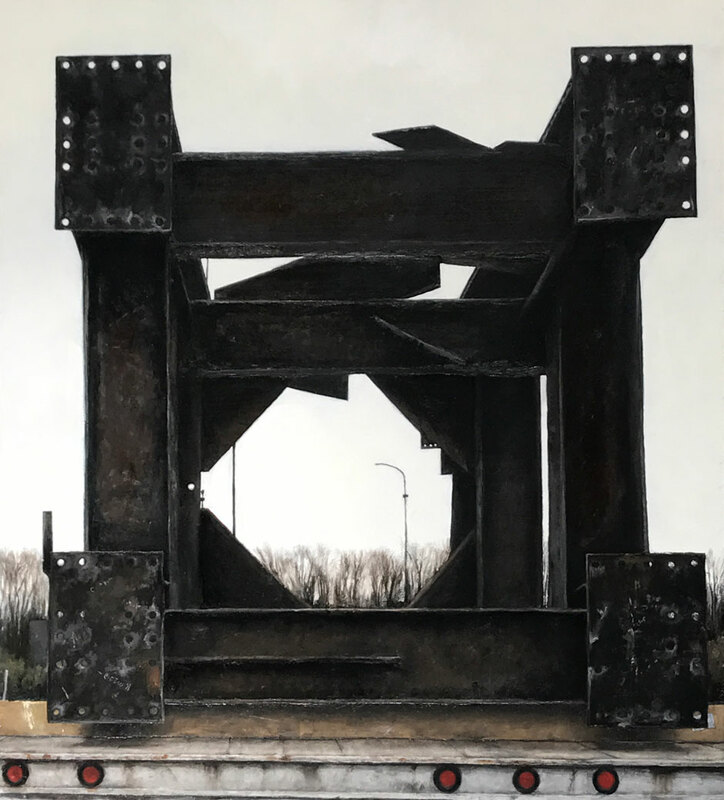 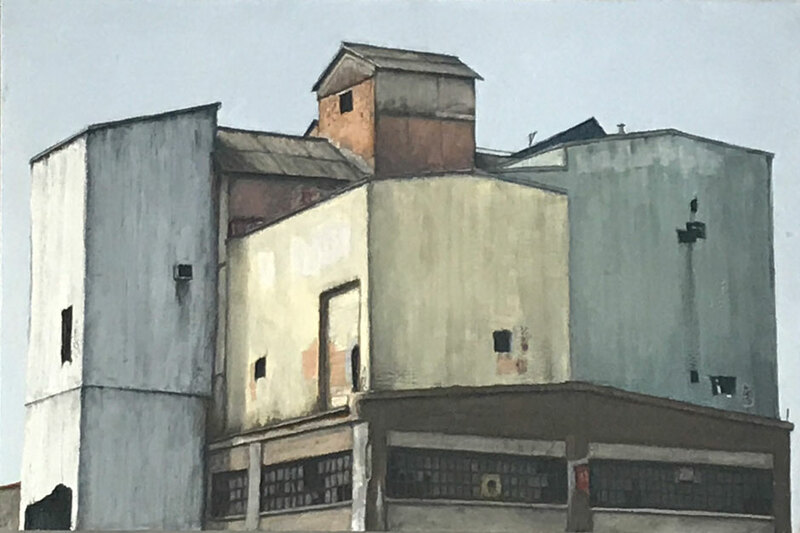 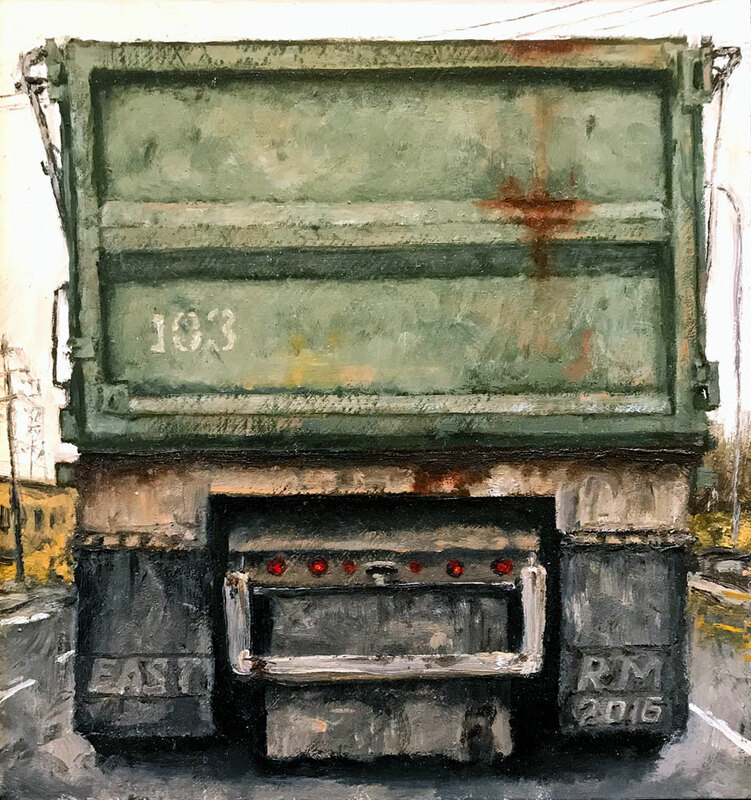 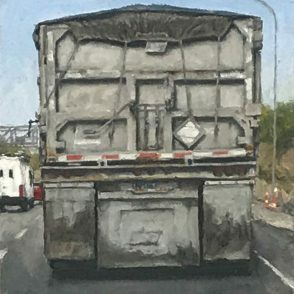 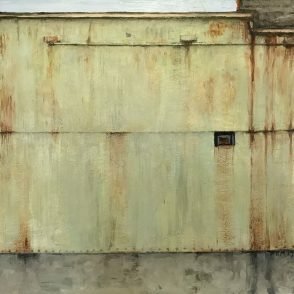 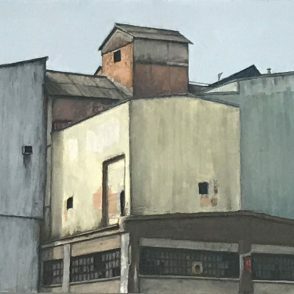 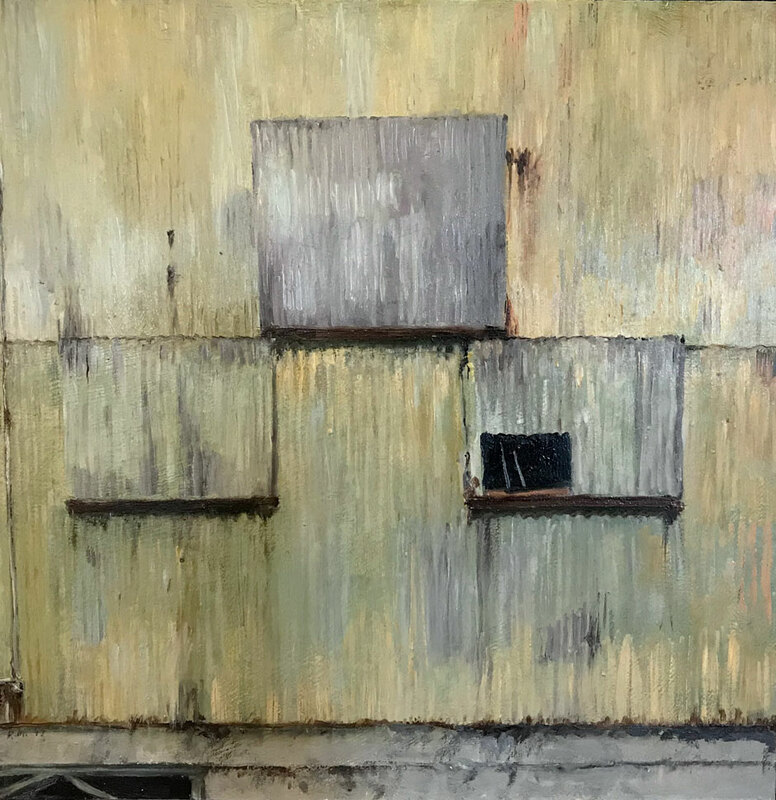 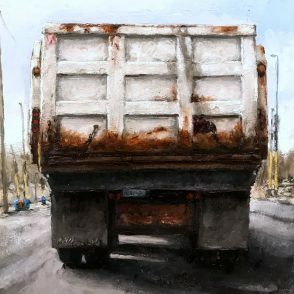 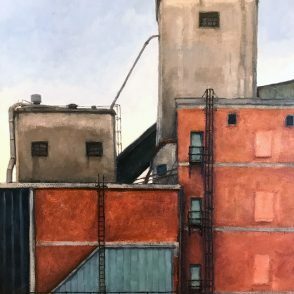 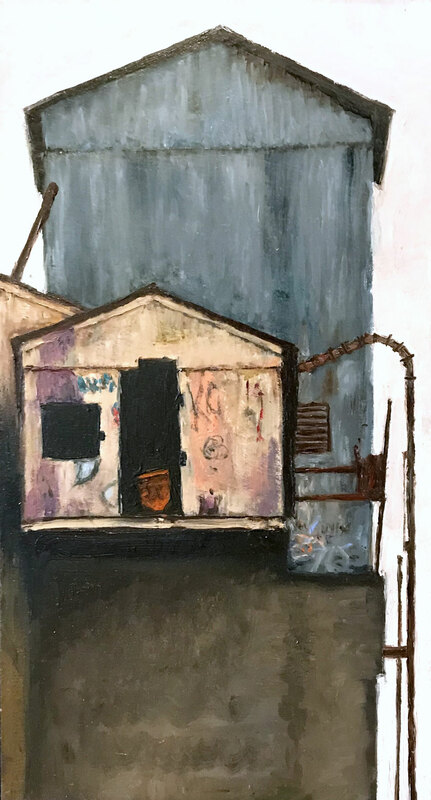 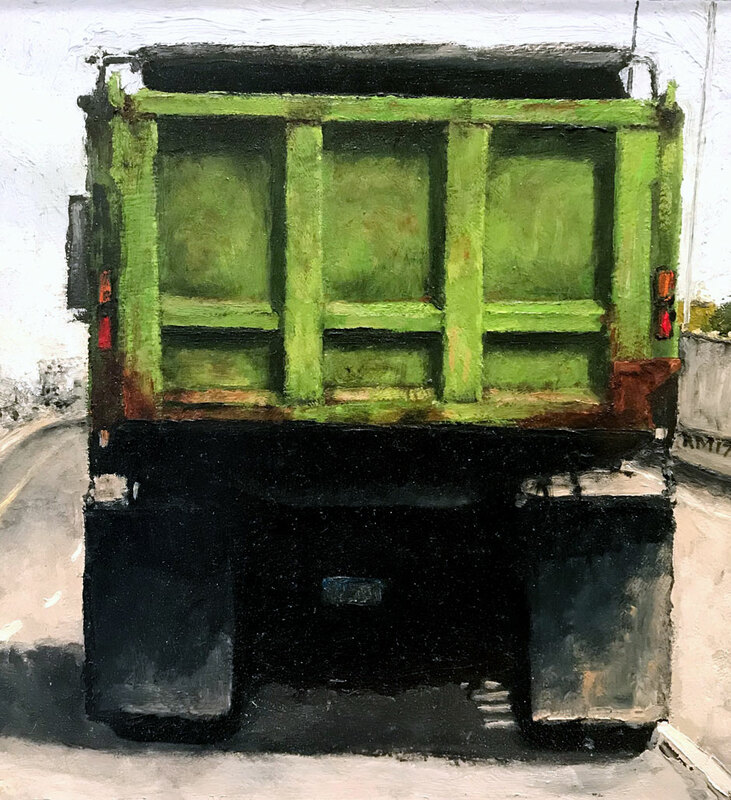 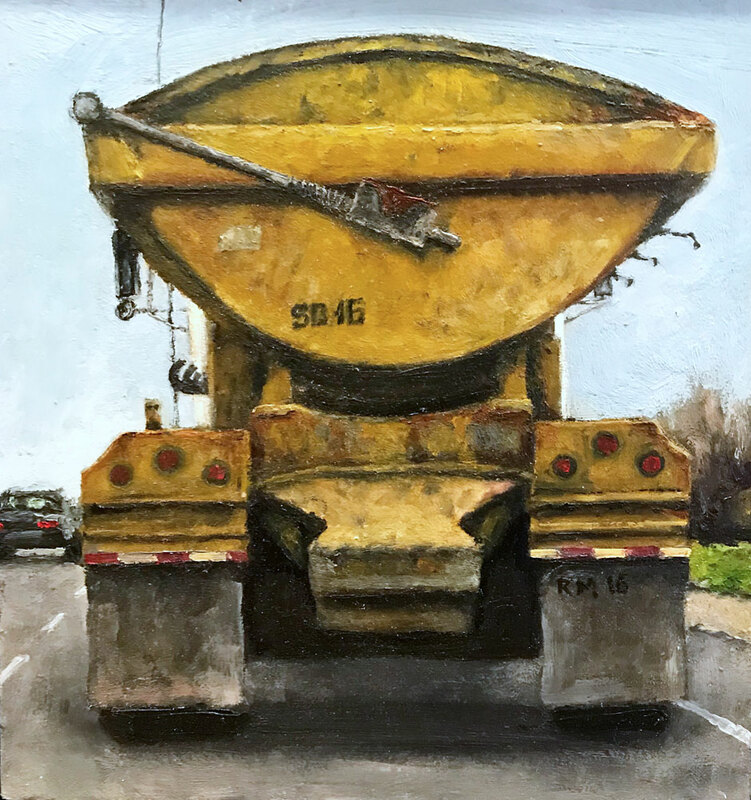 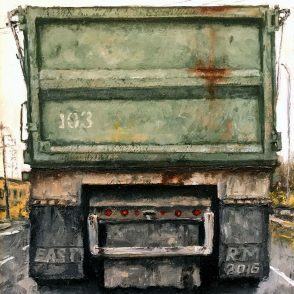 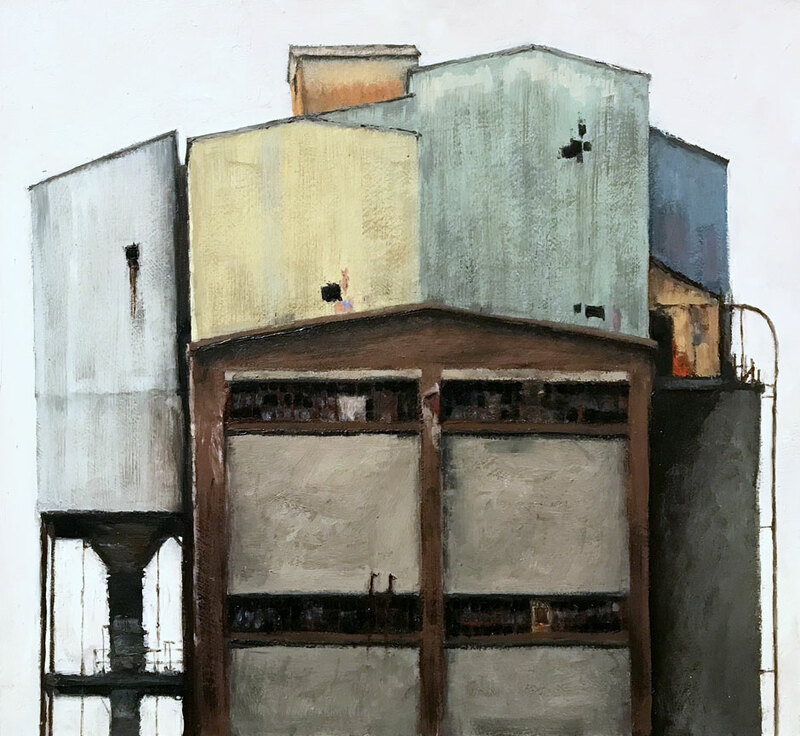 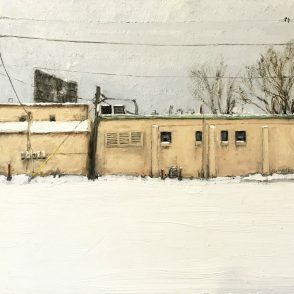 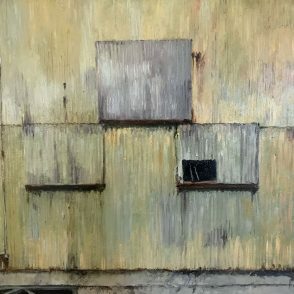 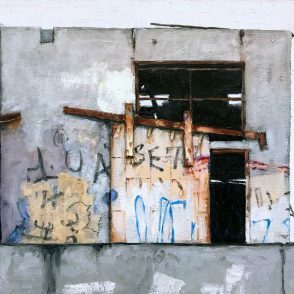 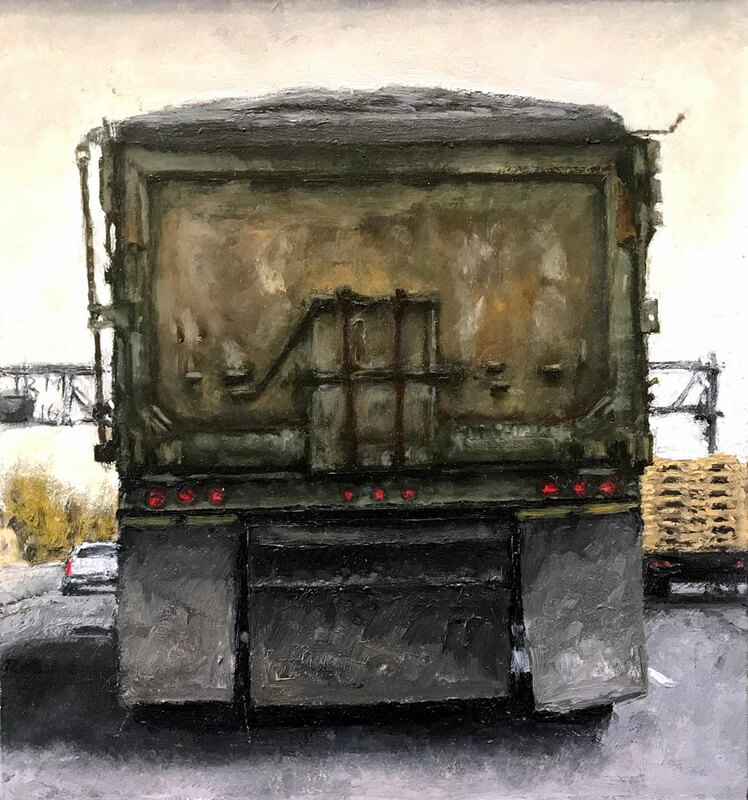 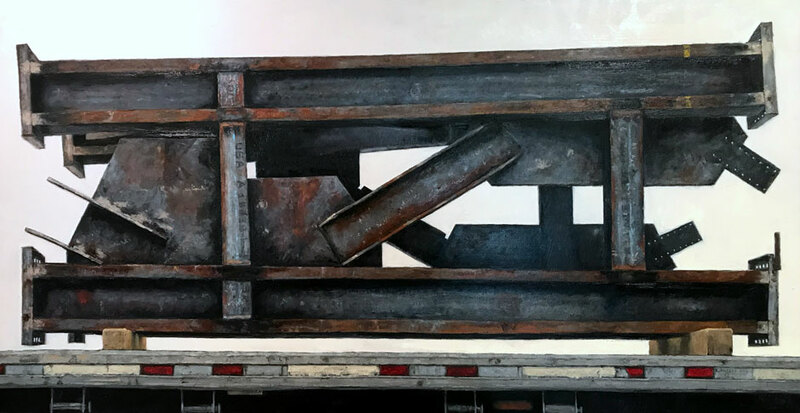 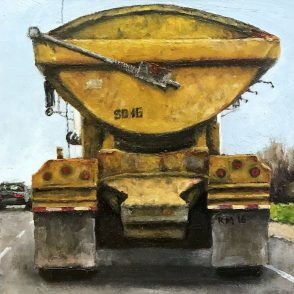 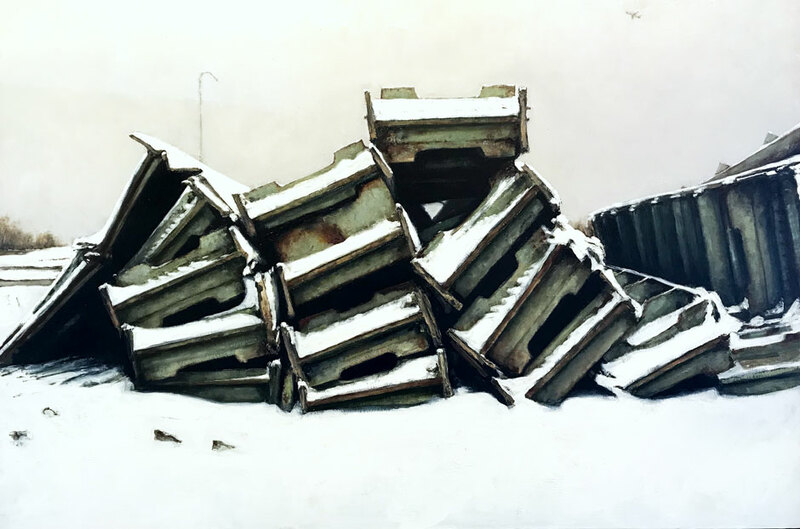 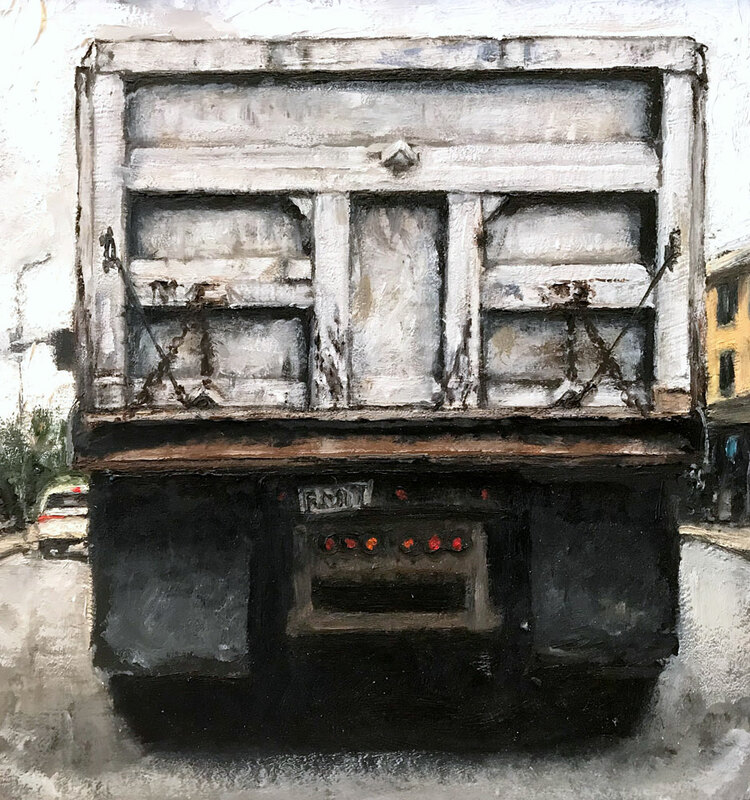 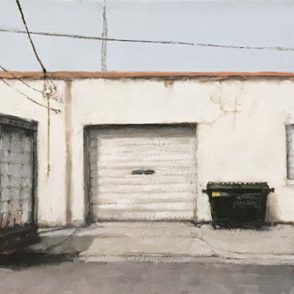 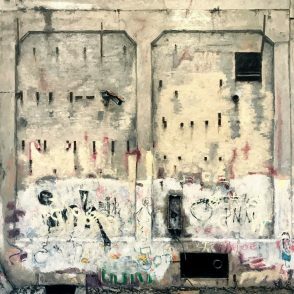 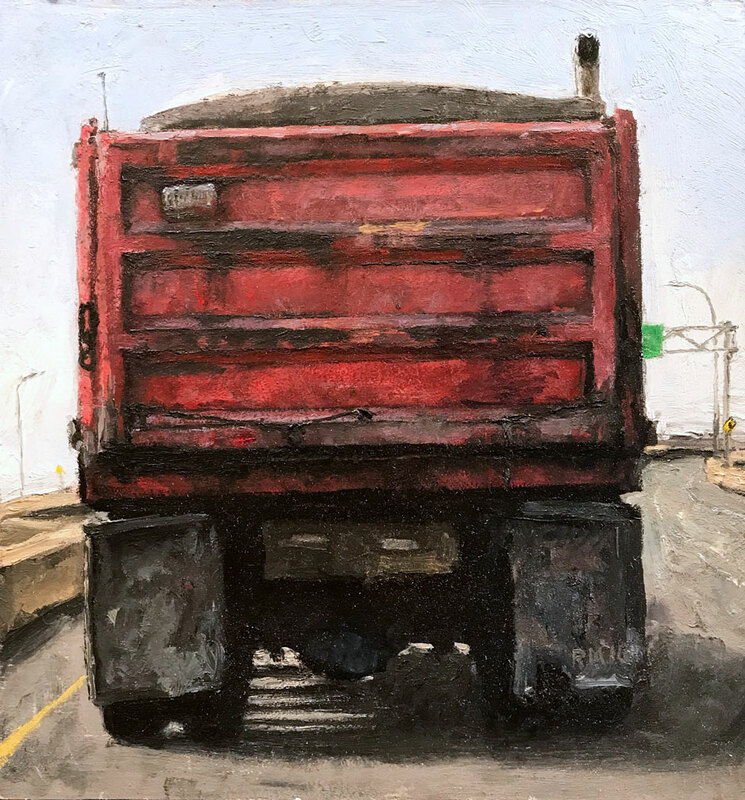 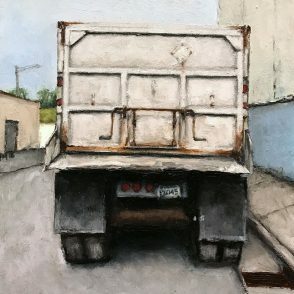 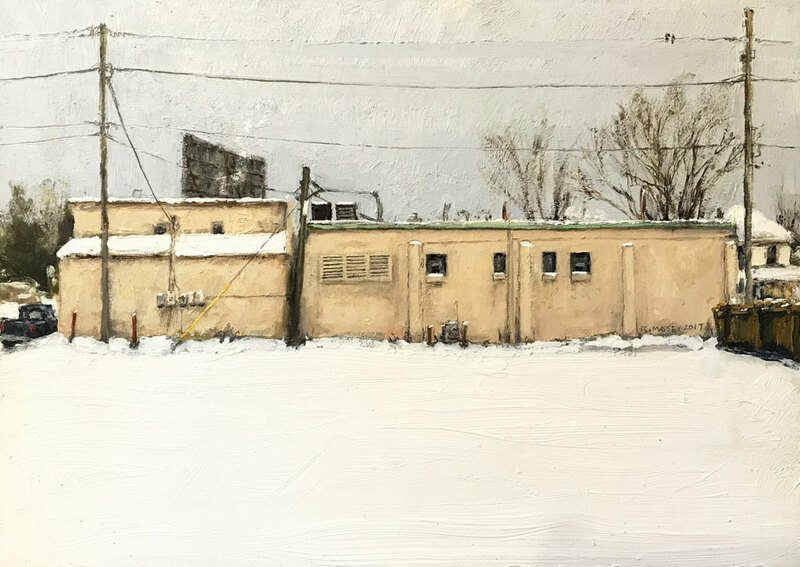 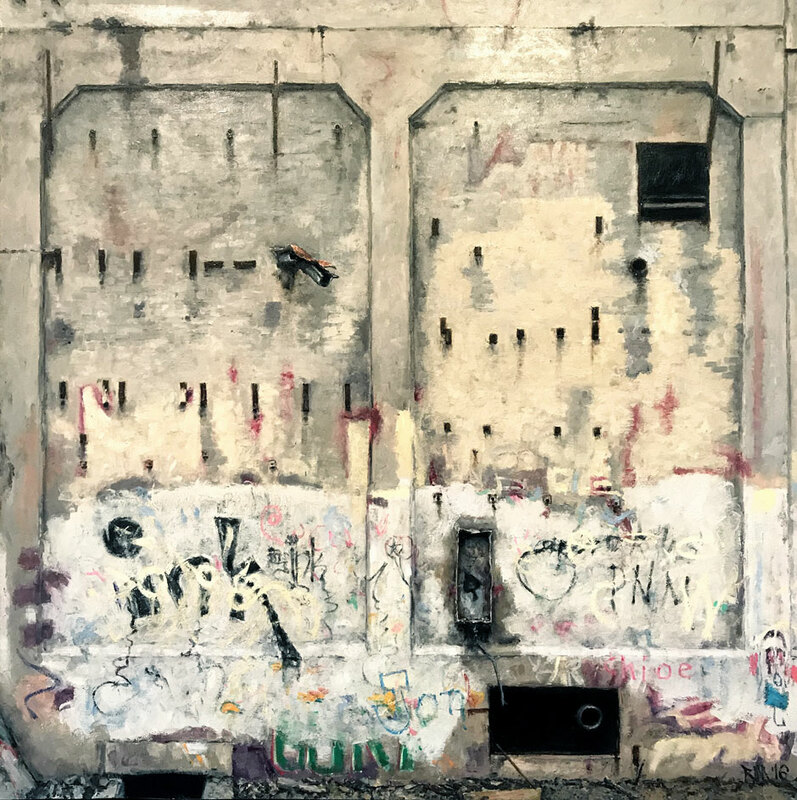 Massey’s subject matter has changed over the past 40 years, from the houses and yards of his quiet Southwest Minneapolis neighborhood, to abandoned industrial warehouses, gritty highways, and neglected grain elevators. 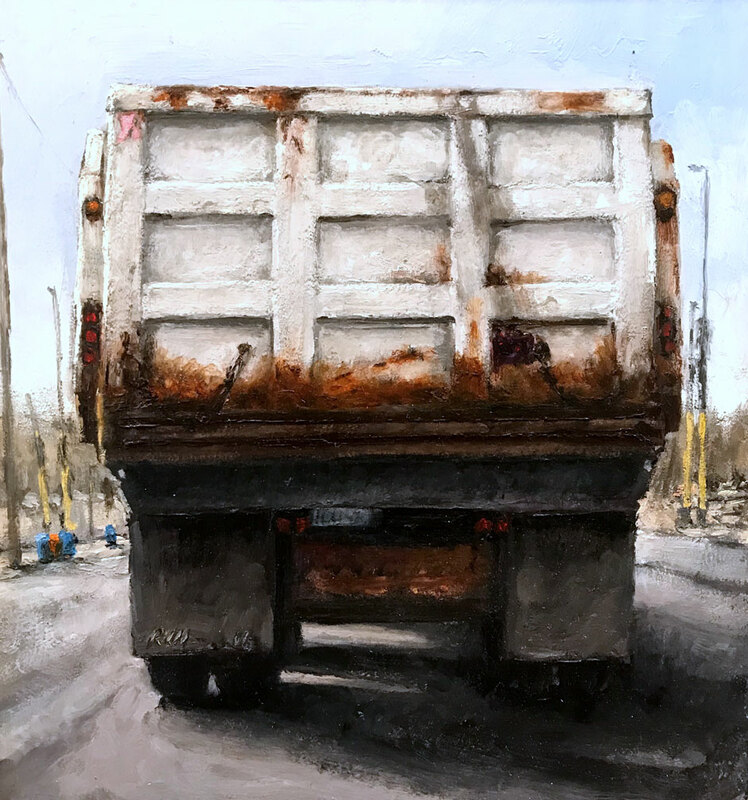 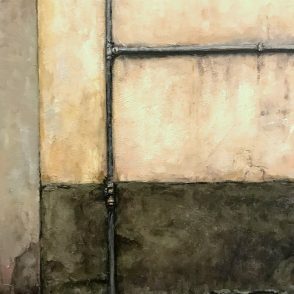 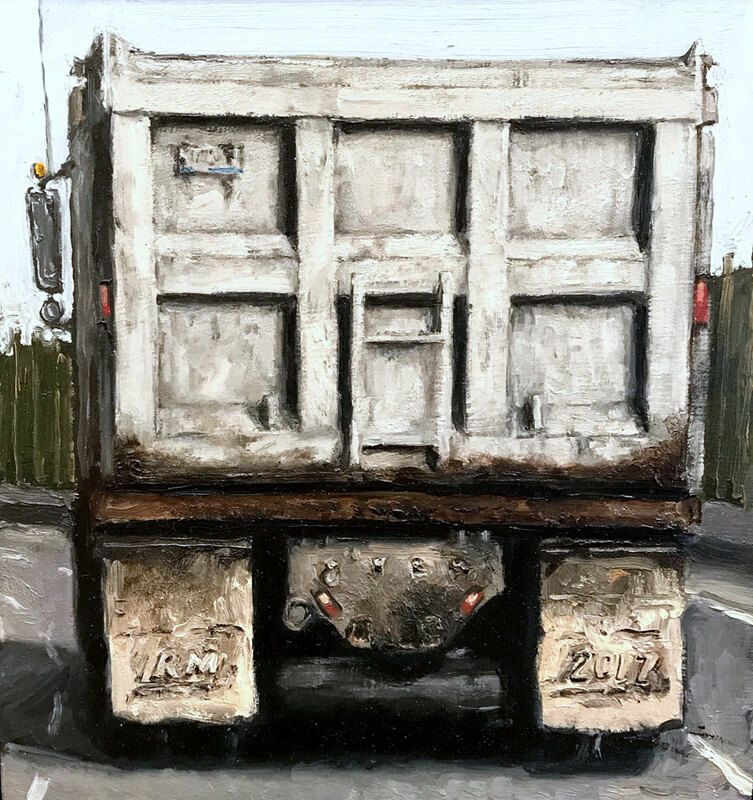 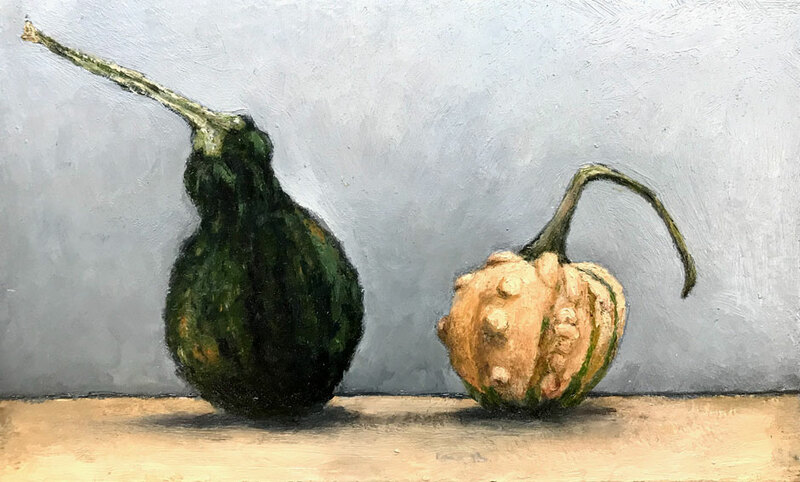 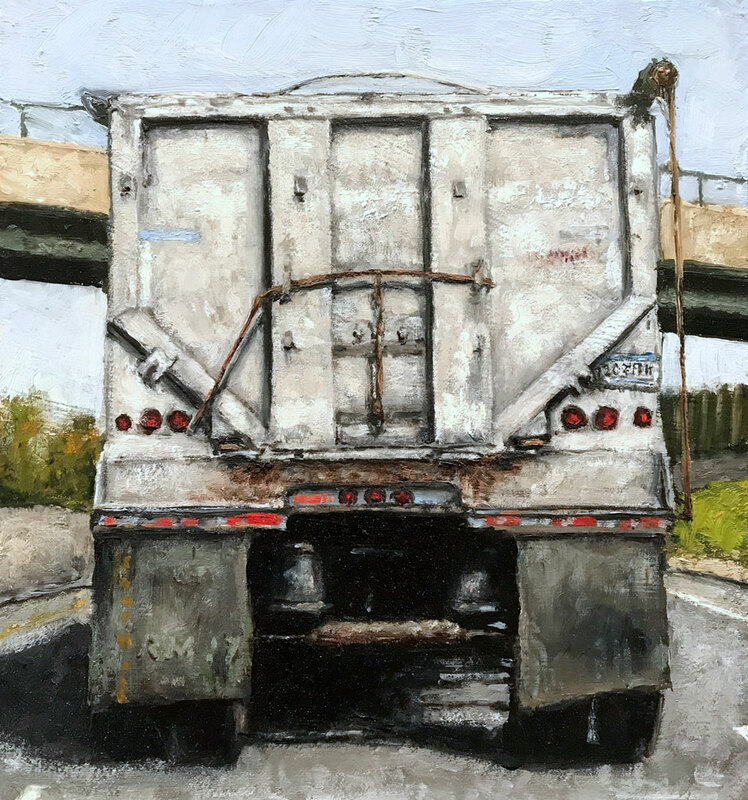 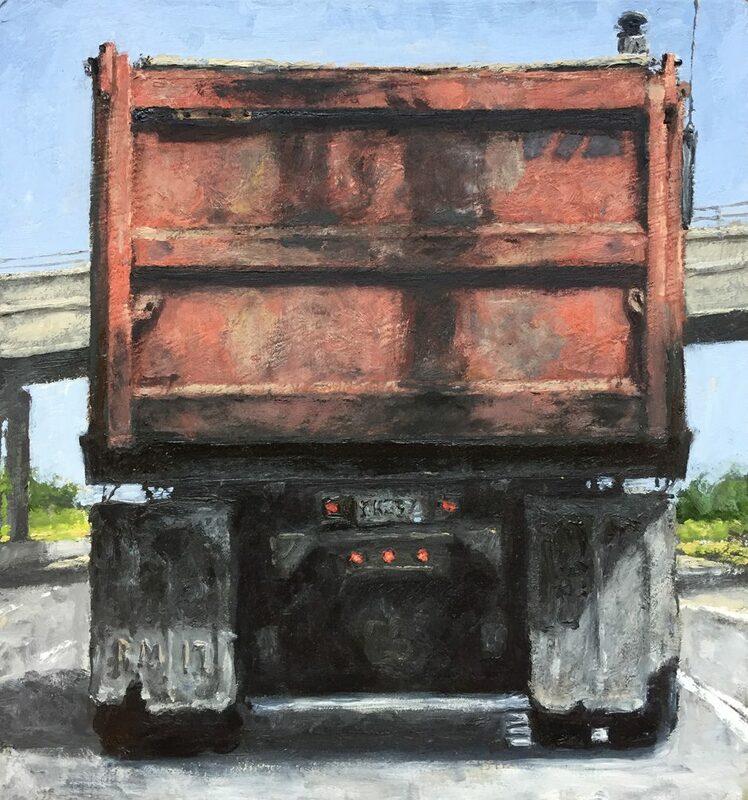 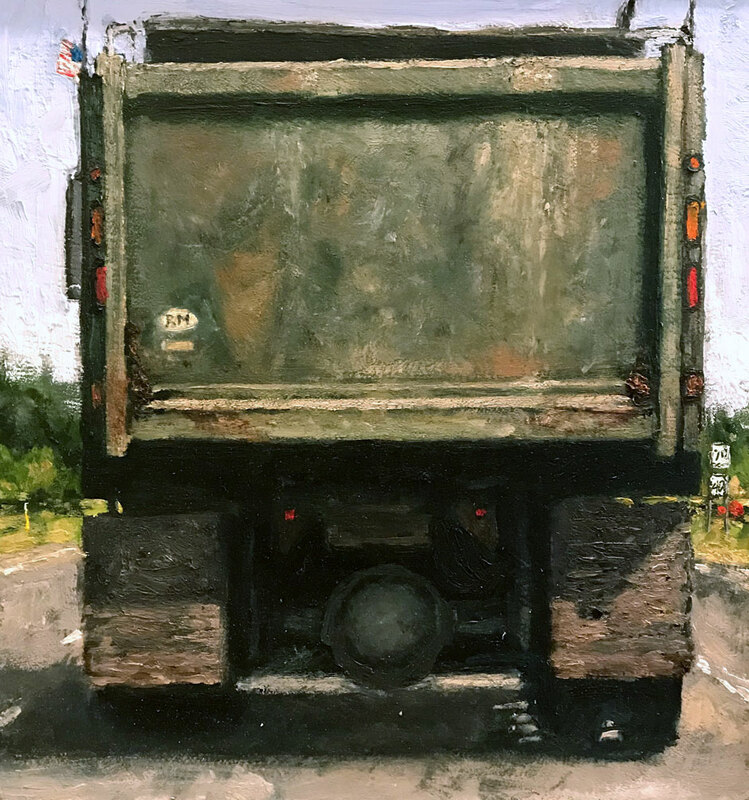 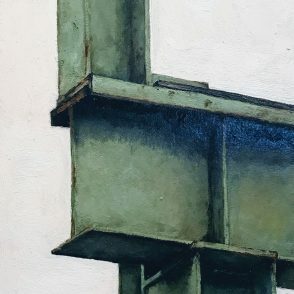 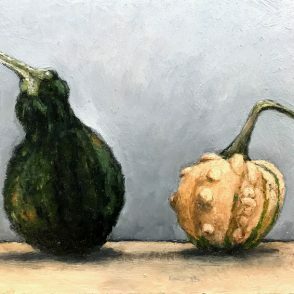 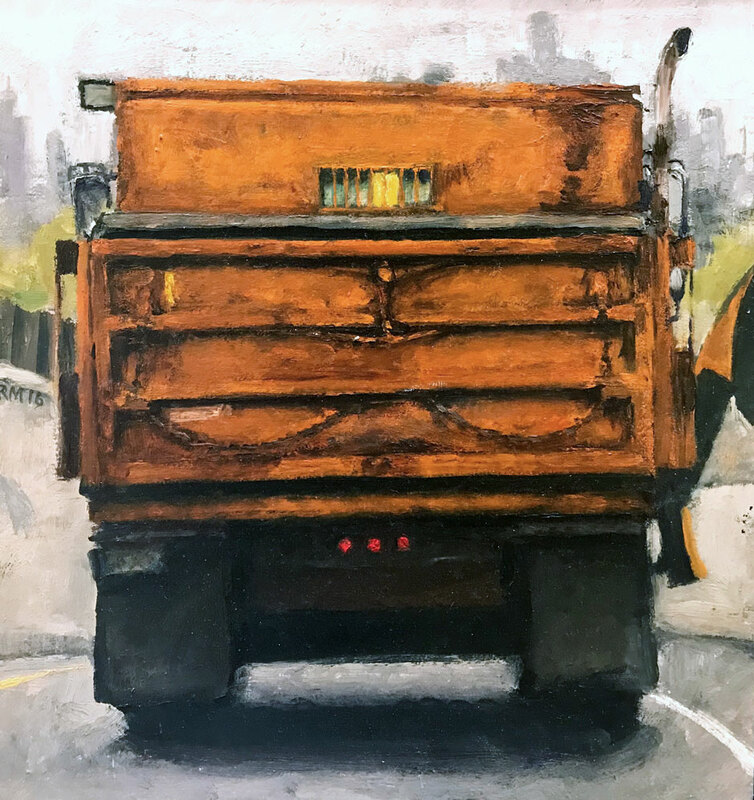 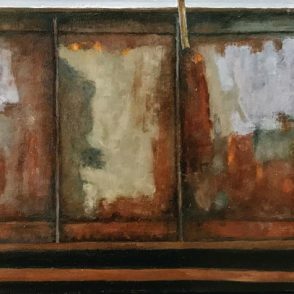 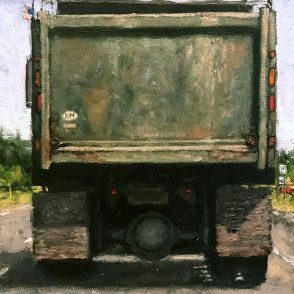 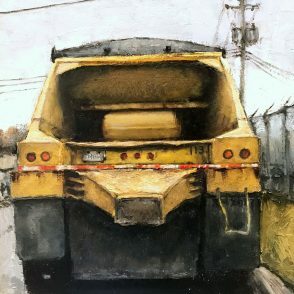 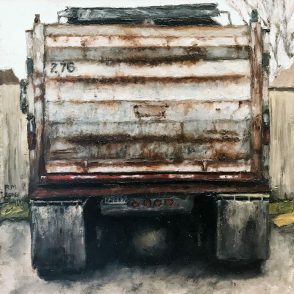 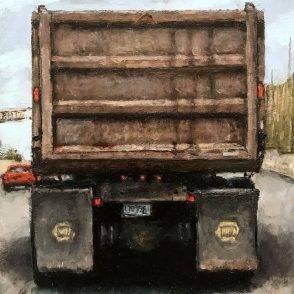 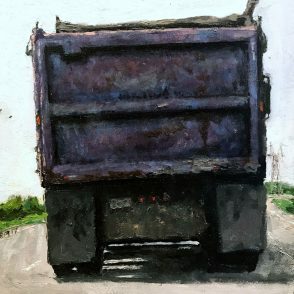 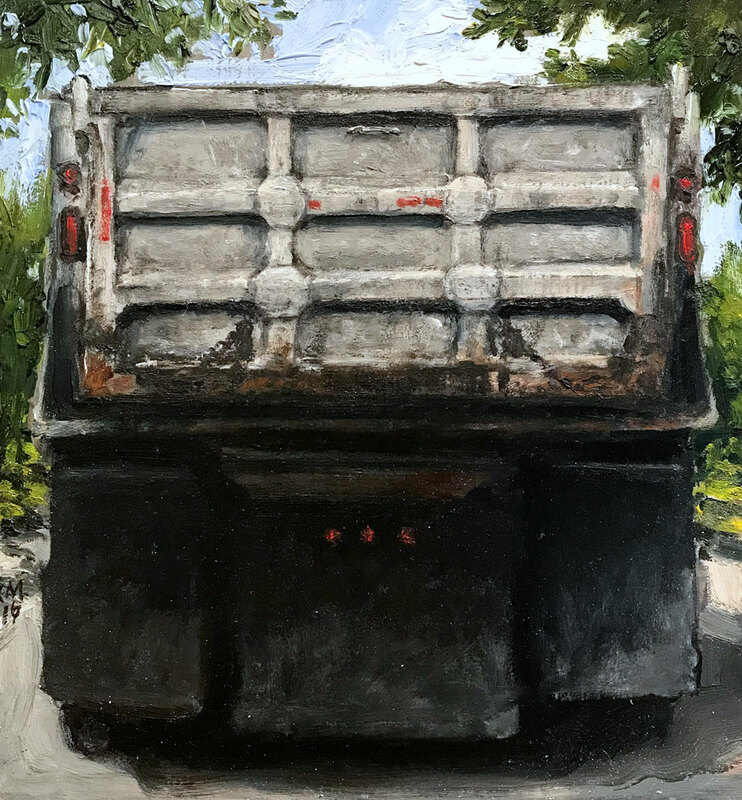 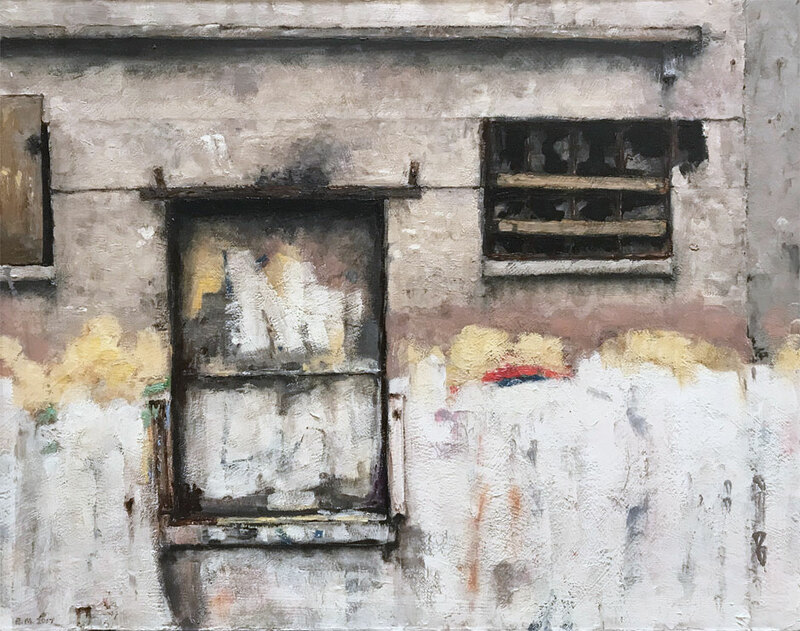 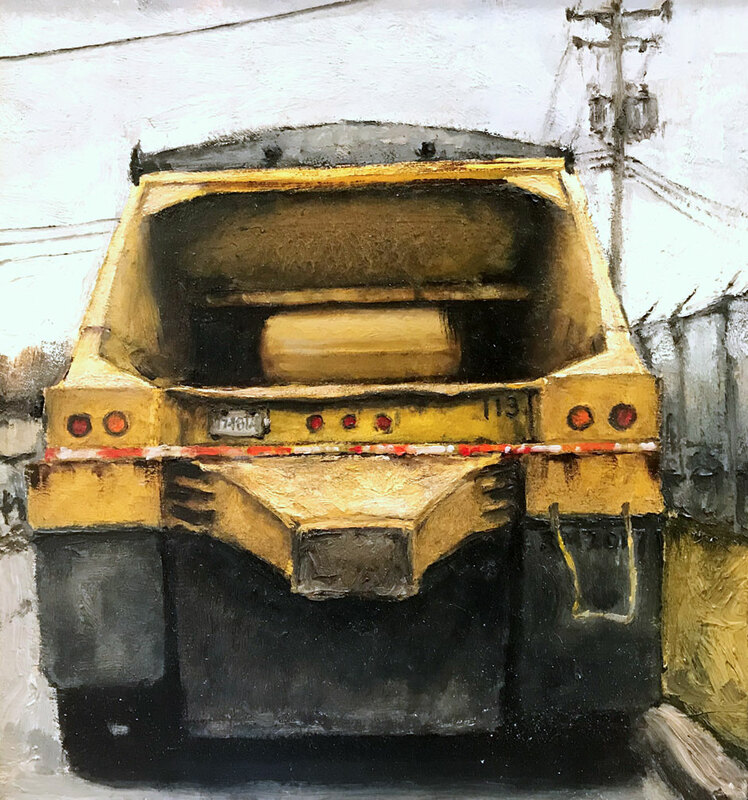 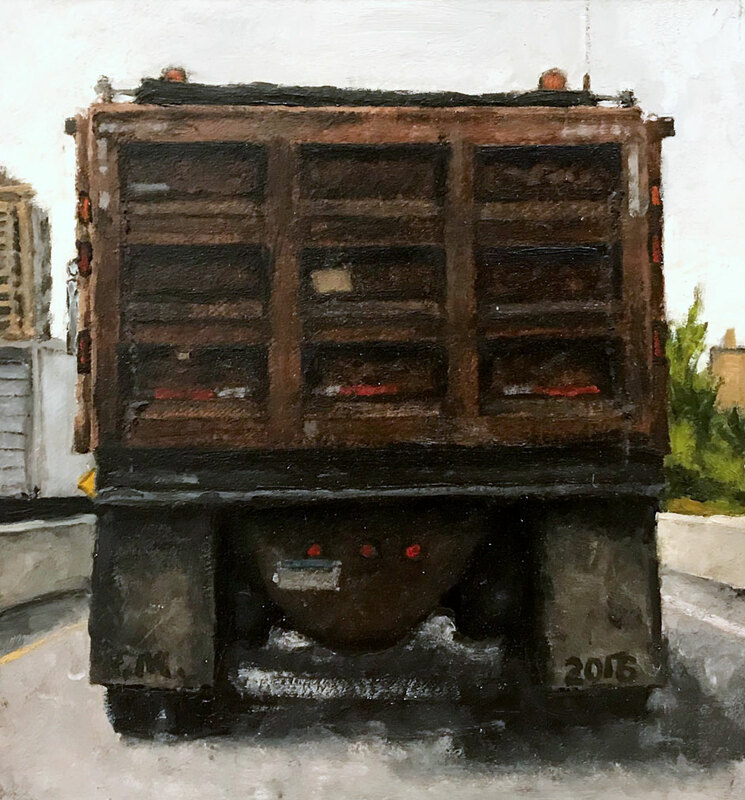 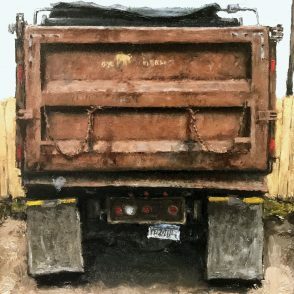 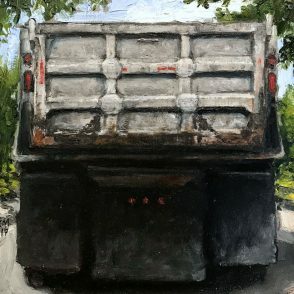 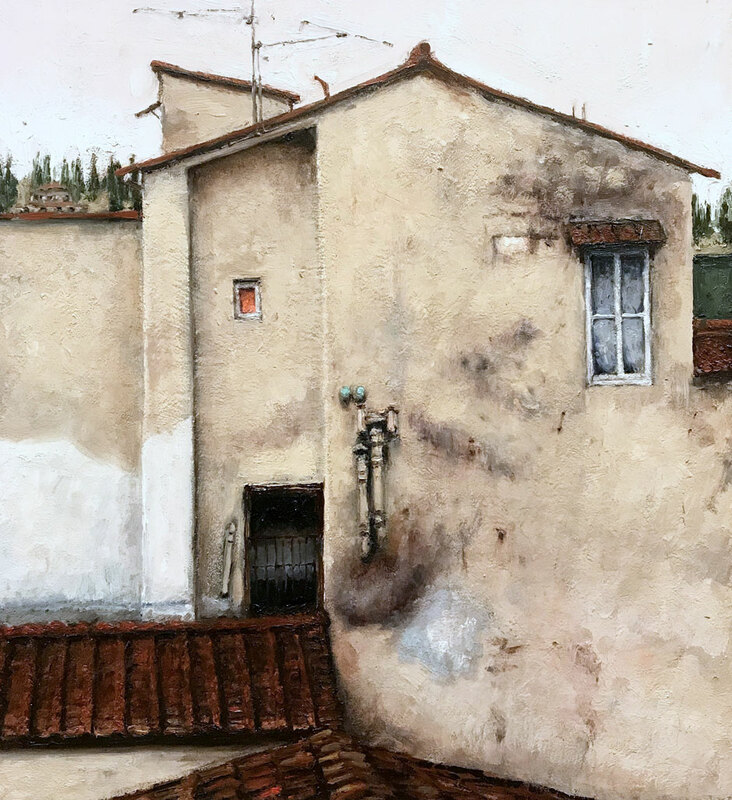 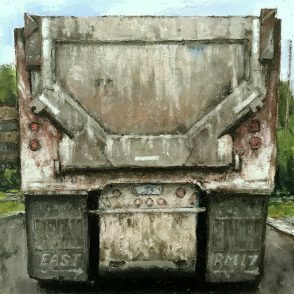 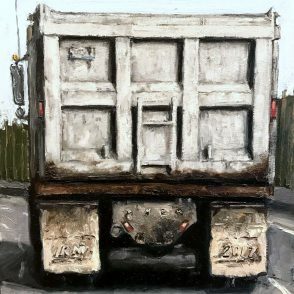 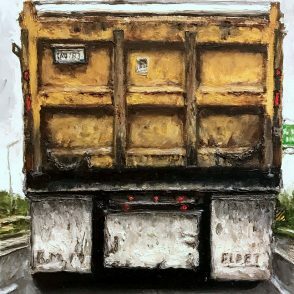 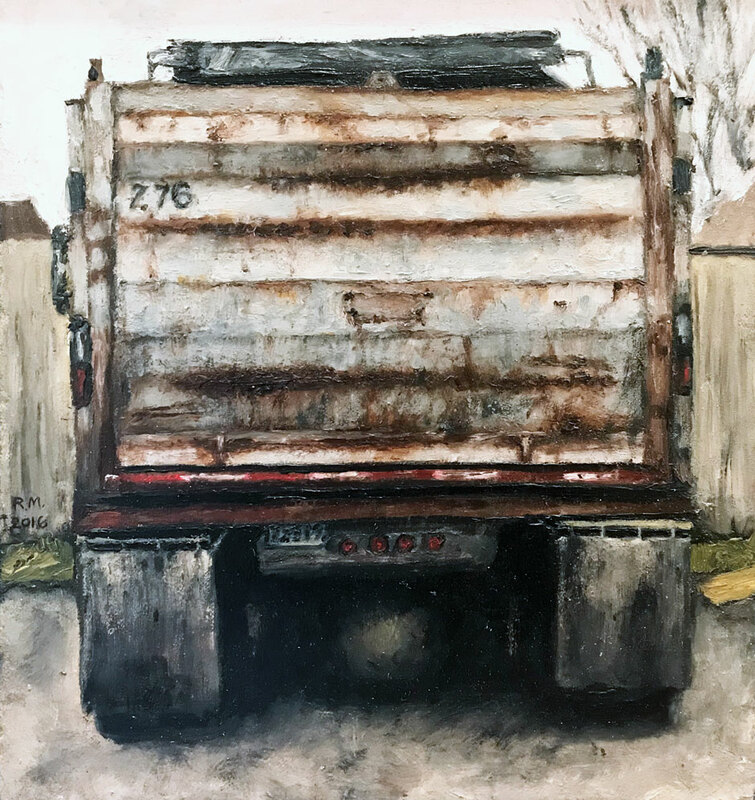 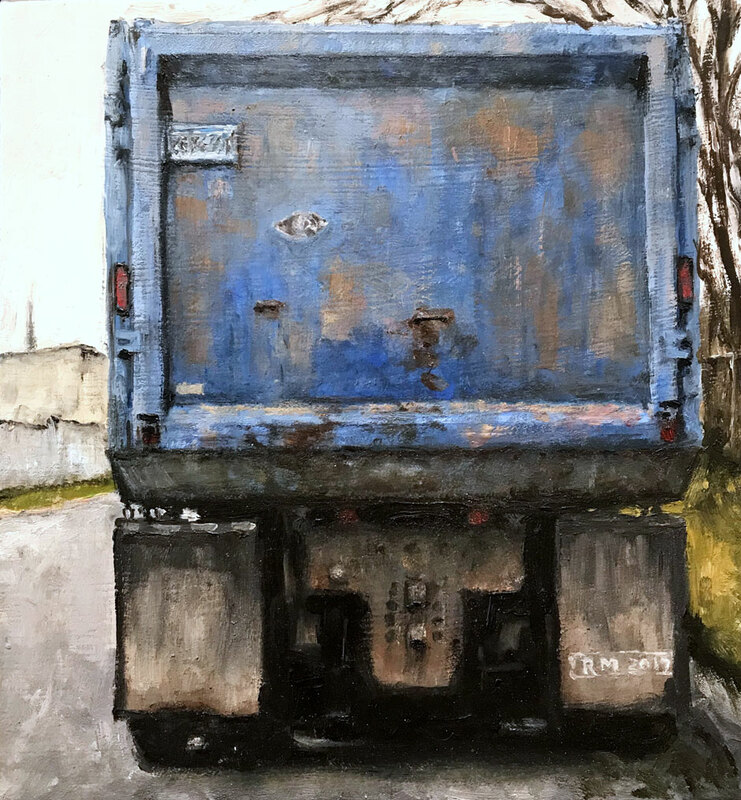 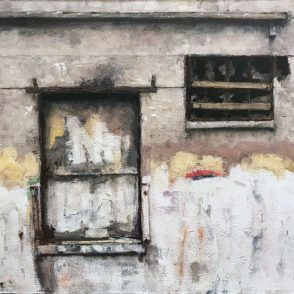 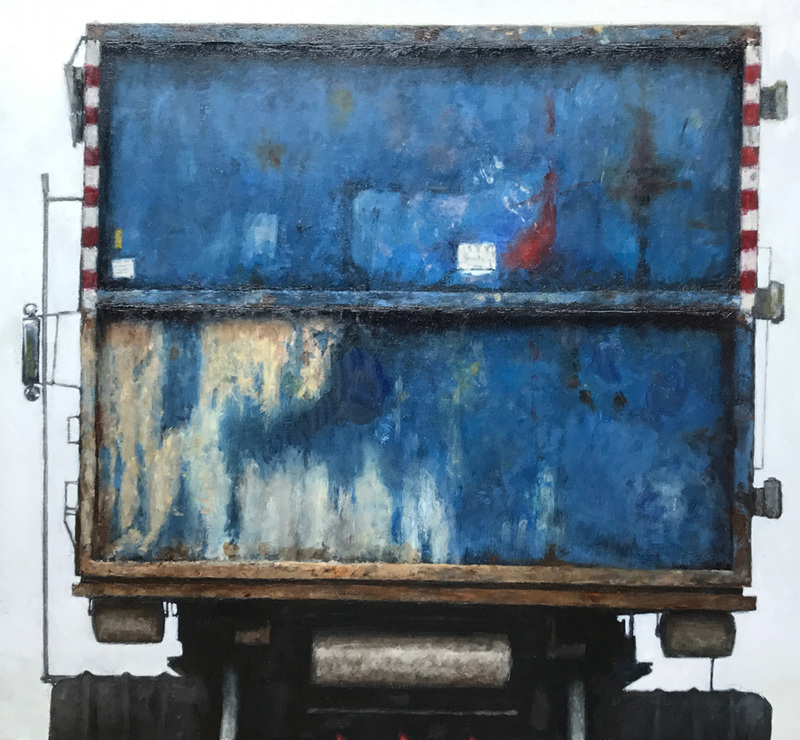 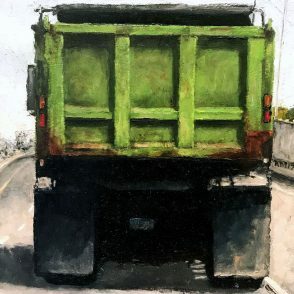 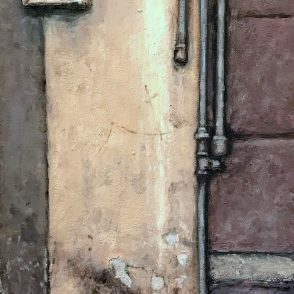 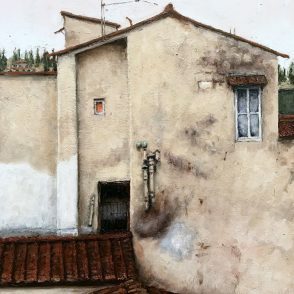 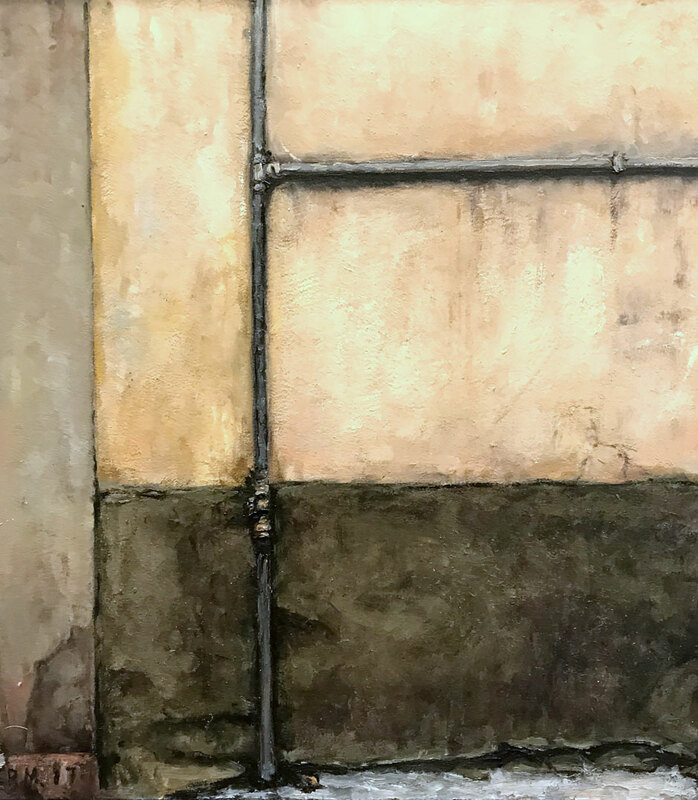 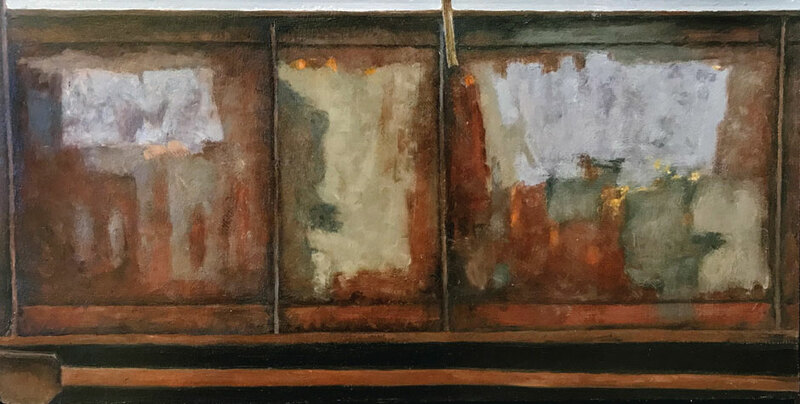 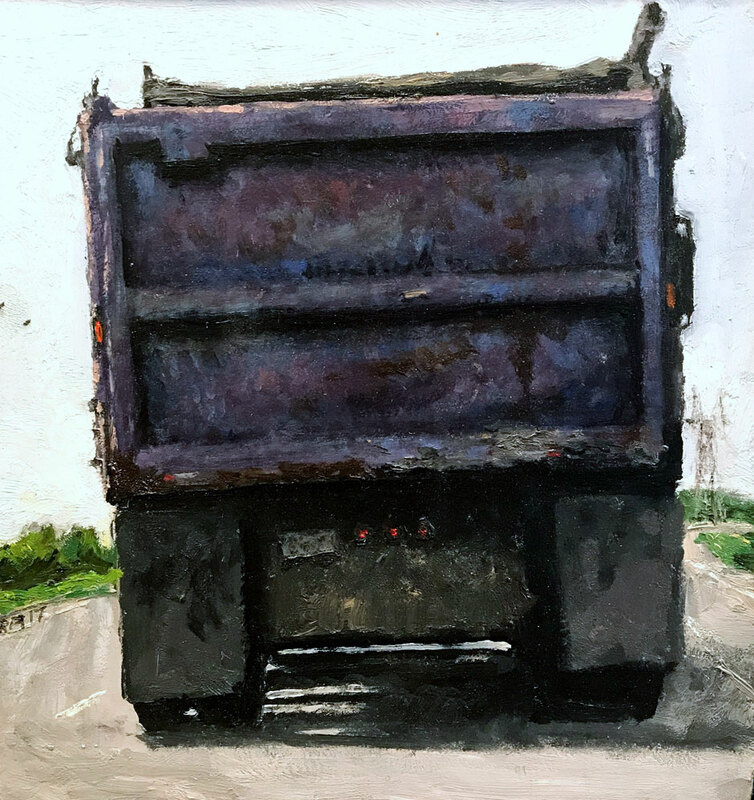 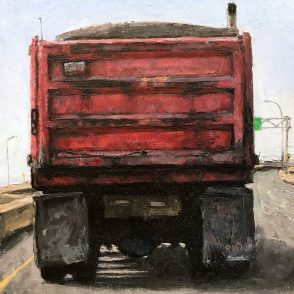 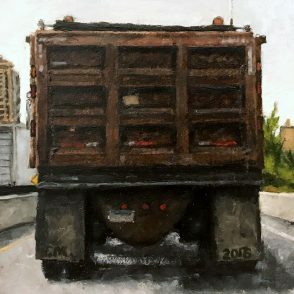 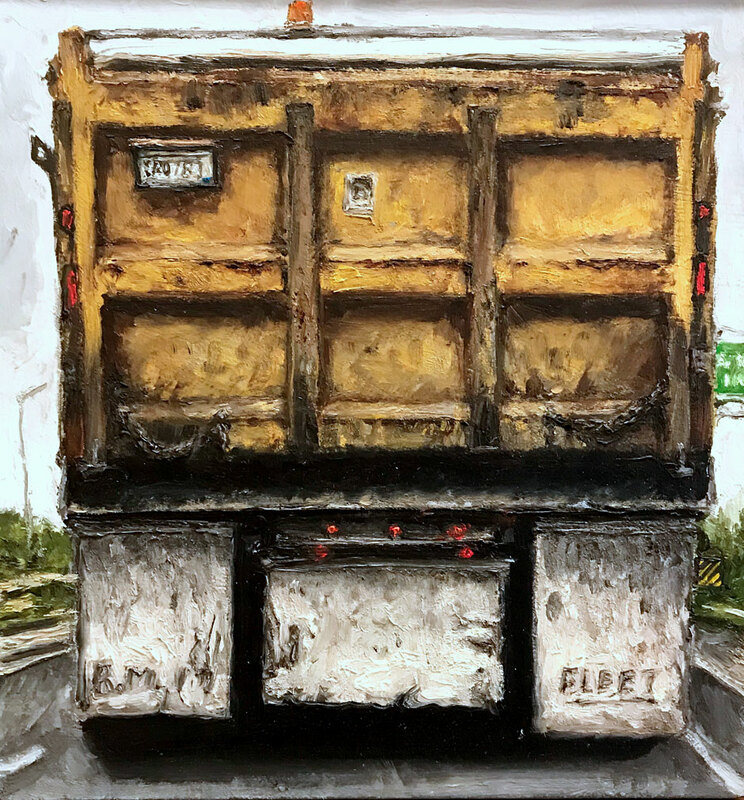 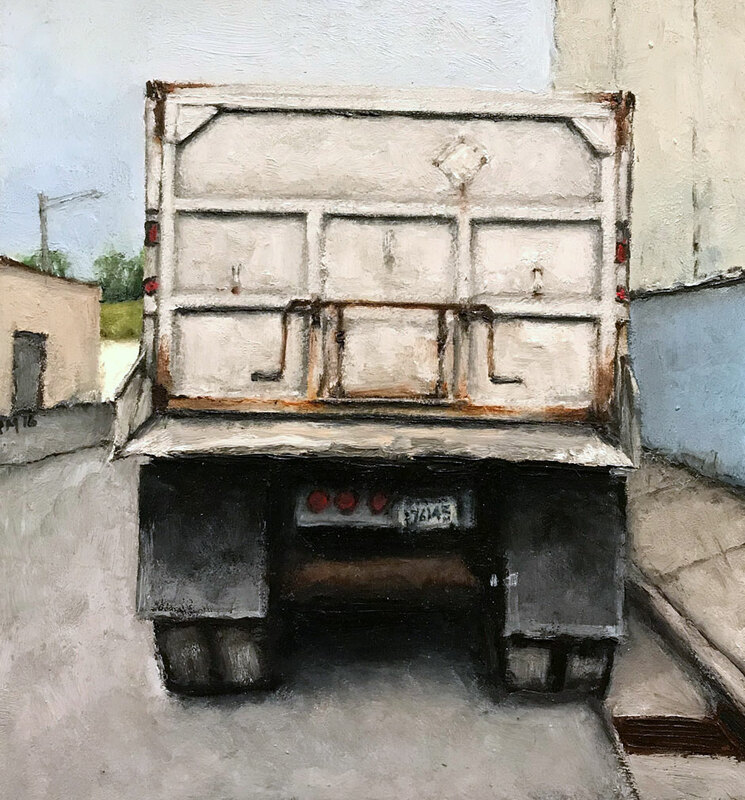 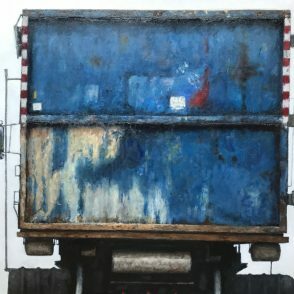 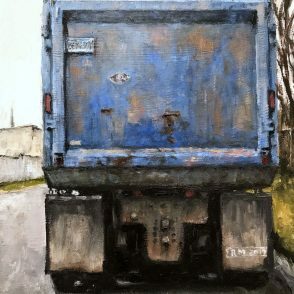 In his artist’s statement Massey has written: “I strive to reveal the underlying character of the mundane and unremarkable scenes that populate my world… and record them with unsentimental honesty and affection”. 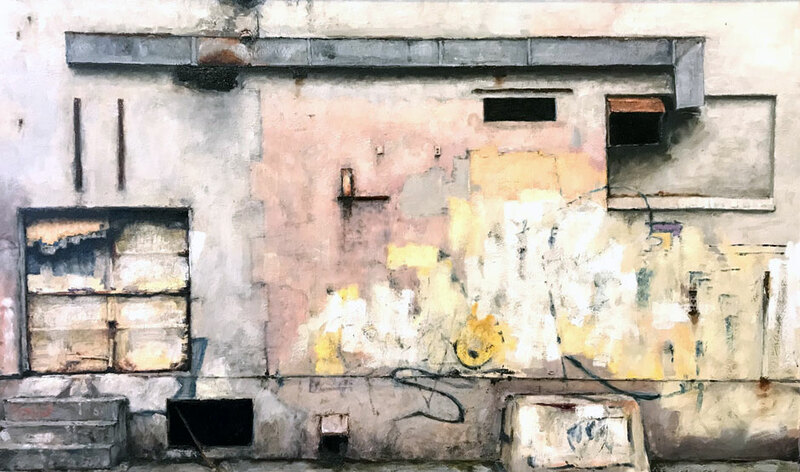 Massey’s sustained investigation of these ordinary places, objects, surfaces and facades reveal newly exposed abstract compositions. 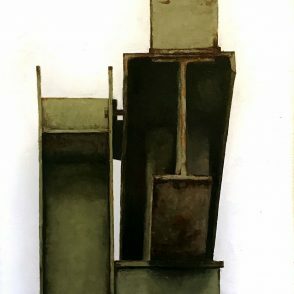 These well examined subjects, while meticulously rendered, nonetheless become modernist studies of color, form and pattern. 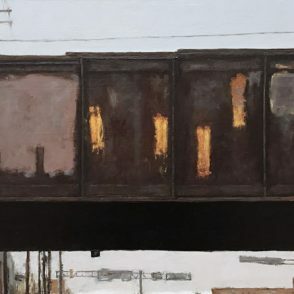 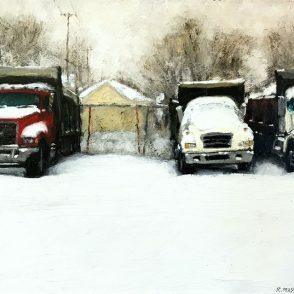 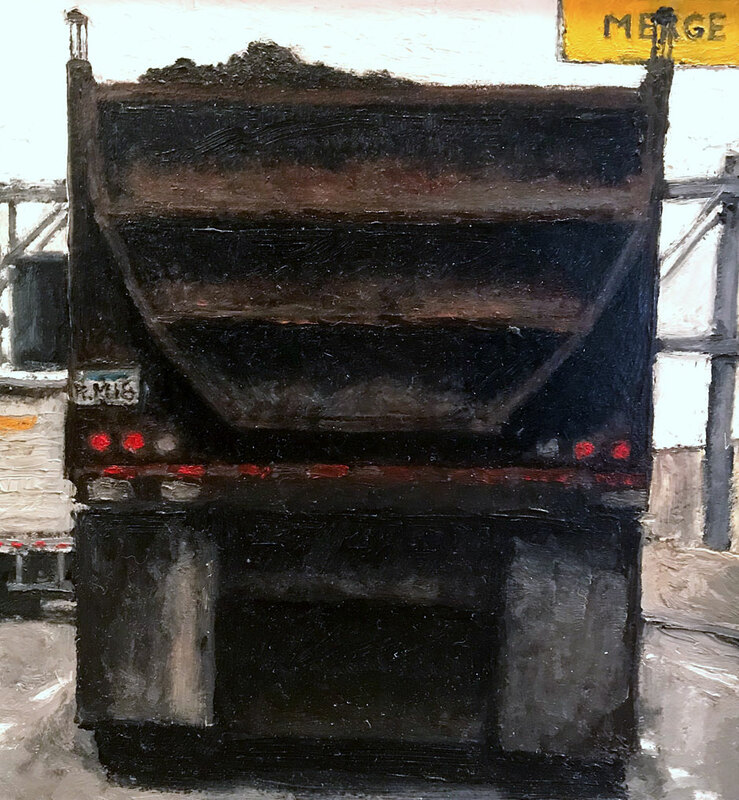 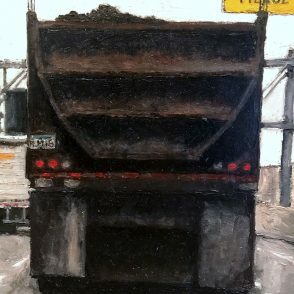 Massey, a well-established Minneapolis artist has been exhibiting his work for over 40 years. 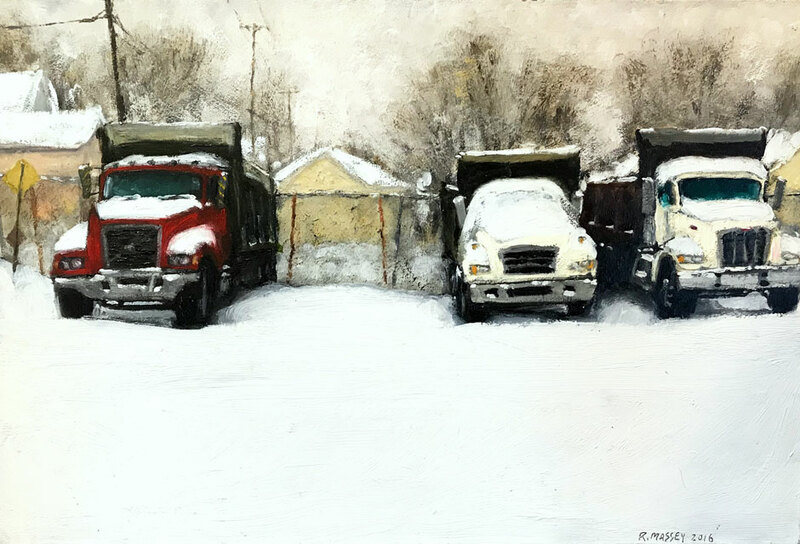 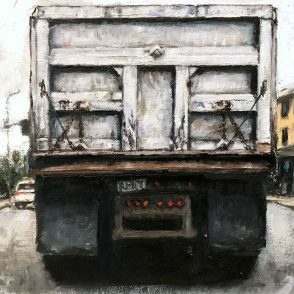 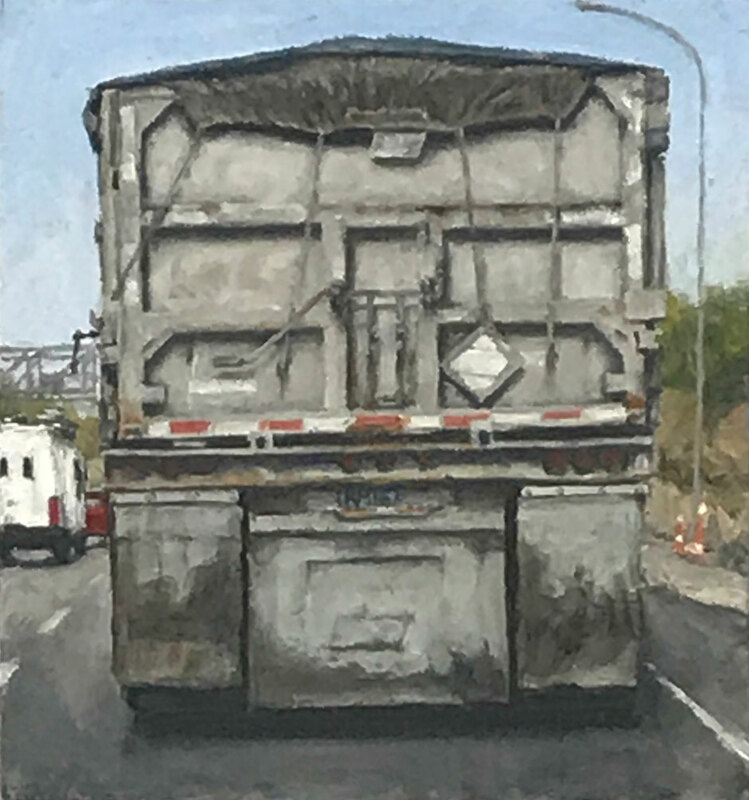 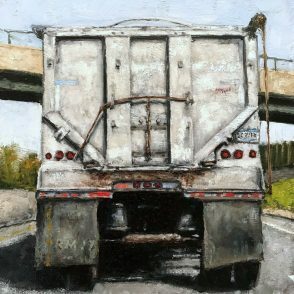 Massey’s paintings are included in public and private collections throughout the Midwest. 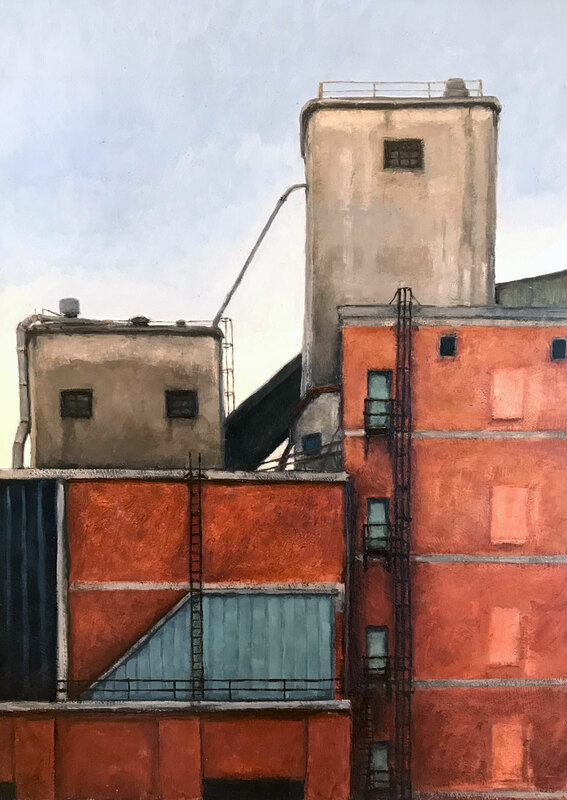 He has been the recipient of numerous grants and awards, including a Bush Foundation Fellowship, a McKnight Foundation Fellowship, and a Minnesota State Arts Board Artist Initiative Grant. 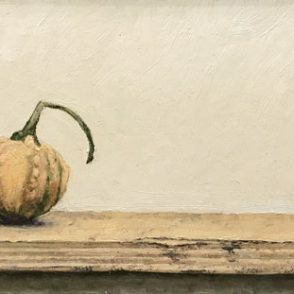 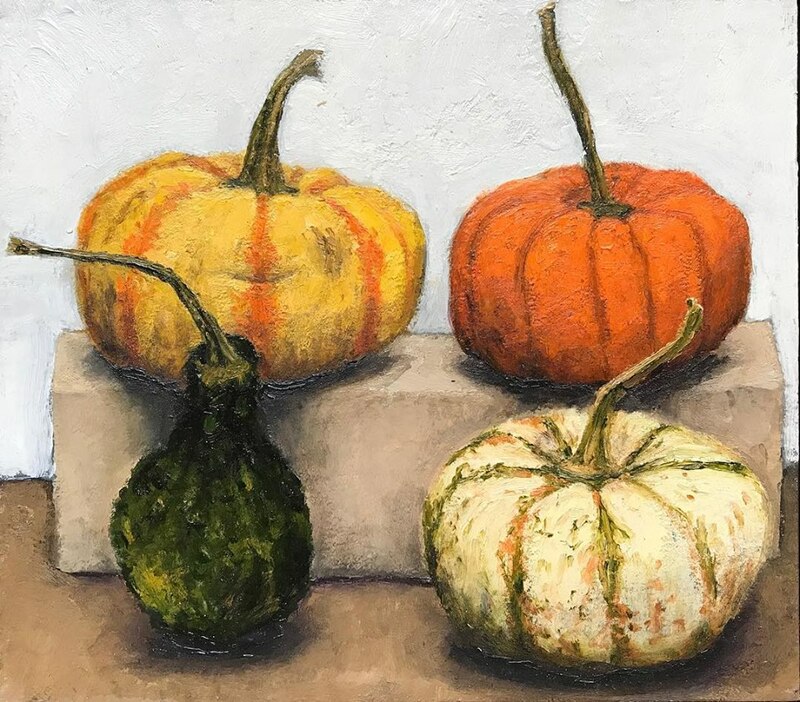 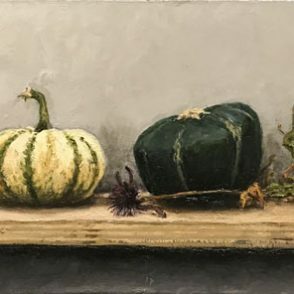 The artist will be present at the opening reception Saturday, October 21st from 2-5 pm. 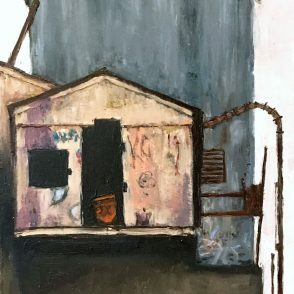 The opening reception and exhibition runs concurrently with Big Fat Bacon and Other Paintings by Greg Graham. 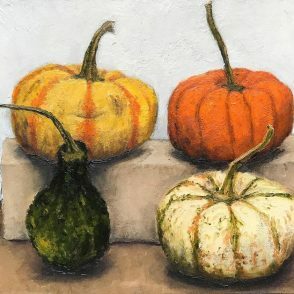 Both shows continue through November 25, 2017.